Hello peeps.. How are you doing all? I am down with cold and cough and not in a mood to write anything.. 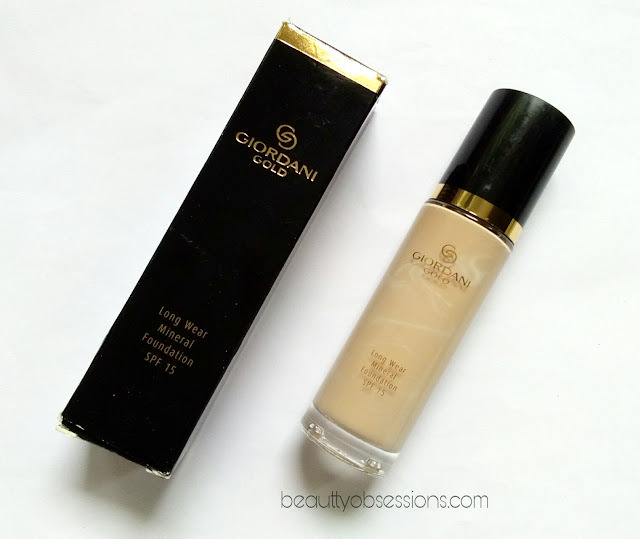 But finally decided to write a blog and that's on the newly launched Oriflame Giordani Gold Long Wear Mineral Foundation SPF 15 in shade Light Ivory .. Last month Oriflame has added these new foundations into the giordani gold range . There are four shades in this range and i.e. Light Rose , Light Ivory, Rose Beige and Natural Beige . I think the shade selection is not enough to choose for Indian skin tones specially .. Let's get into the review to know in detail.. 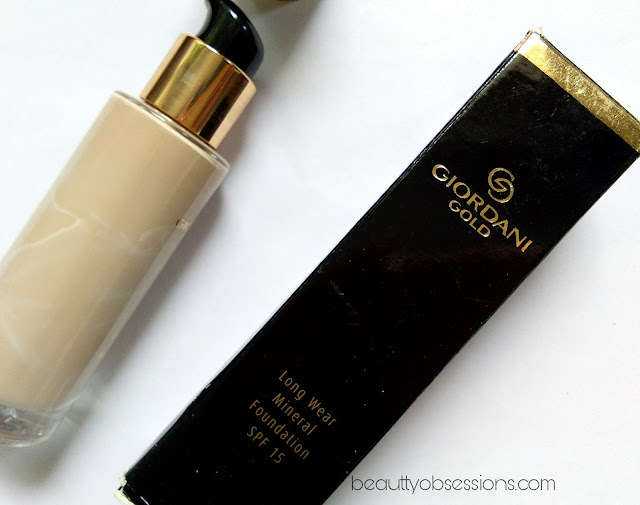 BRAND CLAIMS - Give your skin a perfect finish with giordani gold long wear mineral foundation . A full coverage long lasting foundation ,infused with skin revitalising Italian Volcanic Minerals and SPF 15. Conceals imperfection for a lasting healthy and youthful looking complexion. PRICE - Rs 1300/- for 30ml. Composed of five essential minerals and sourced directly from Mount Etna, the Volcanic Minerals encourage skin to flourish by counteracting loss of firmness*, minimising free-radical damage, and improving barrier function**. * Ingredient in vivo testing. ** Ingredient in vitro testing. PACKAGING - The foundaion comes in a regular glass packaging with pump dispenser and a tightly closed plastic cap.. the packaging is quite heavy and not so travel-friendly . The pump dispenser is of good quality and releases right quantity product with each pump.. It is easy to use and the cap is also leak-proof and of good quality too. The bottle again comes inside a black cardboard box which has all information regarding the product.. 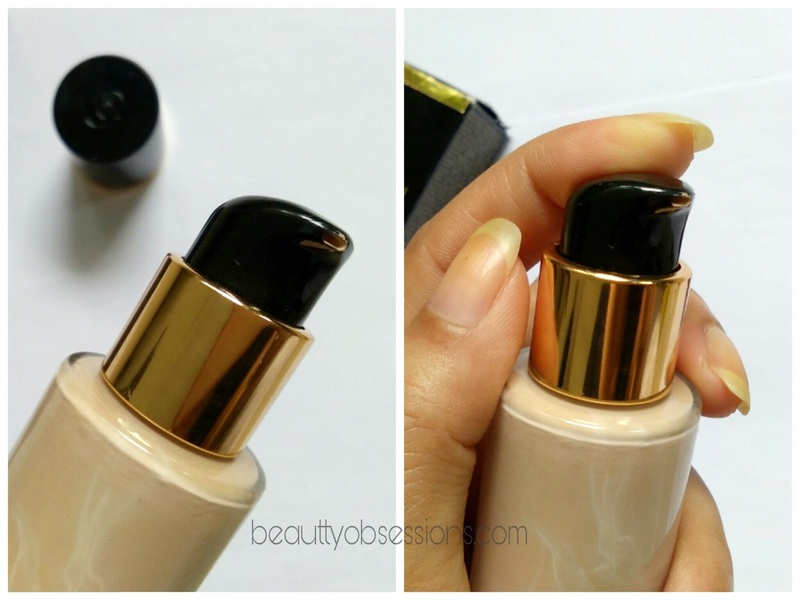 The shade Light Ivory is a little light for my skin tone which means i have chosen a wrong shade for me .. I think the shade rose beige or natural beige is for medium skintones .. Actually the shades here are so confusing by their names and catalogue shopping is making it more confusing . Light Ivory has pink undertones where as yellow undertones suits well in Indian skin tones.. The texture is smooth and it has medium thick consistency. Two pumps are enough for my face and neck.. I applied this foundation through a wet beauty blender and also through a stippling brush . 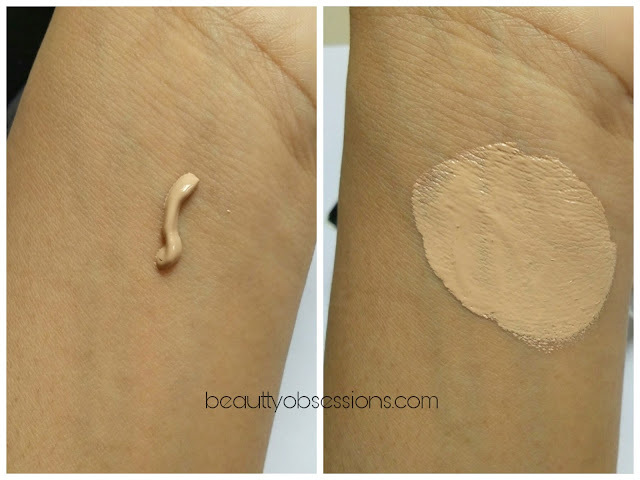 In both the cases the coverage is medium but one can still built up the coverage by applying an extra layer.. It hides spots and blemishes or any slight marks on skin ( not fully but to some extent ) .. One would definitely need an extra concealer for under-eye dark circles as it won't cover that effectively.. The staying ability is quite good.. It stays on my skin for around 8-10hours which is good.. It doesn't feel heavy or cake-y on face nor i got any allergies or nothing.. It has SPF 15 in it which is again a great thing.. You don't need to apply extra sunscreen underneath it .. Though the foundation is little hydrated on skin ,but i would advice you to apply extra moisturiser to keep skin hydrated for longer hours and also to create a smooth base for even application.. 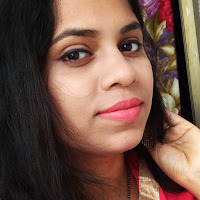 I quite like the foundation inspite of getting a wrong shade but the only drawback is ,it has paraben as ingredients .. Again the price is also on higher side ..
3- Glass packaging is bulky ..
Hope you found this review helpful..See you in the next post .. 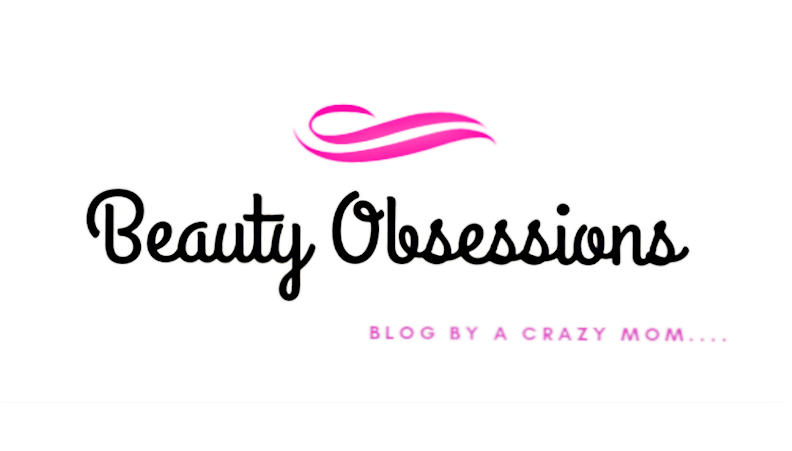 Detailed review , The product seems good but it's expensive and Paraben in it is a big thumbs down . The price is quite high.. otherwise the foundation looks really good to me! 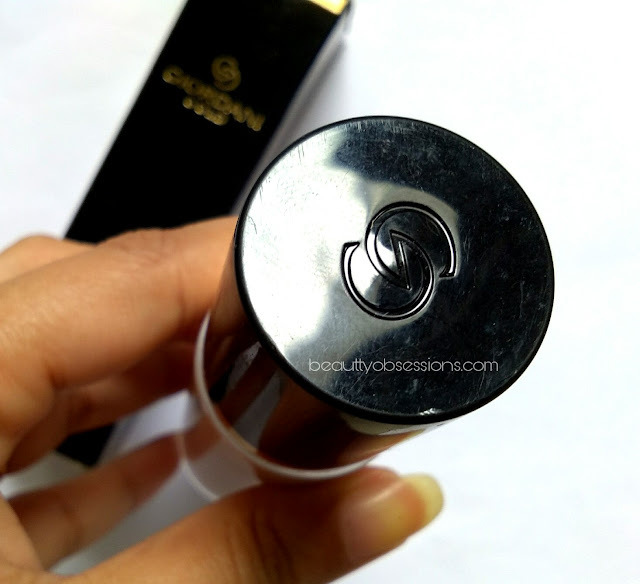 I am a huge lover of oriflame products. 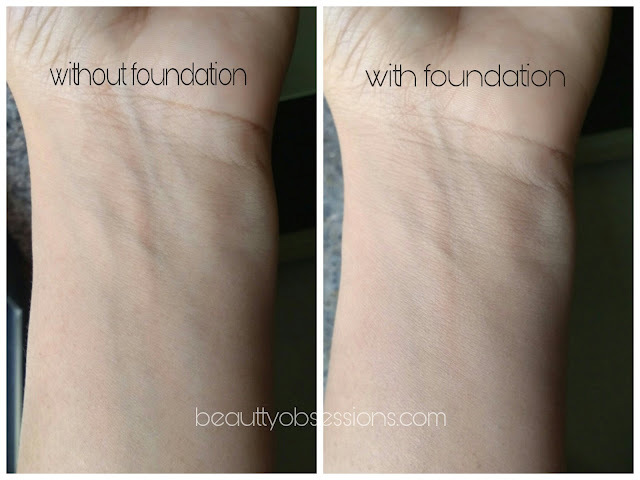 Its foundations are specially my favourite ones. I already using one of giordani foundation of old model. But this one seems new in market. And looks effective and promising one. Will try this one also. Packaging looks luxe. It seems from the picture that it gives medium coverage so good for daily use.